What Is Long Code SMS and Short Code Text Messaging? Is Long Code or Short Code SMS Text Messaging Better for Me? If you're just getting started in the world of SMS text messaging for your business, church, school, or neighborhood, things can be quite confusing. There's certainly a lot to learn – and one of the most important choices you can make when beginning your journey is choosing between a long code and short code SMS text messaging number. What is Long Code SMS and Short Code SMS number? Long code numbers are standard, 10-digit numbers. In the United States, they're usually formatted (555) 555-5555 – just like a normal phone number. Functionally, these numbers operate just like a traditional phone number, receiving SMS text messages and voice messages. 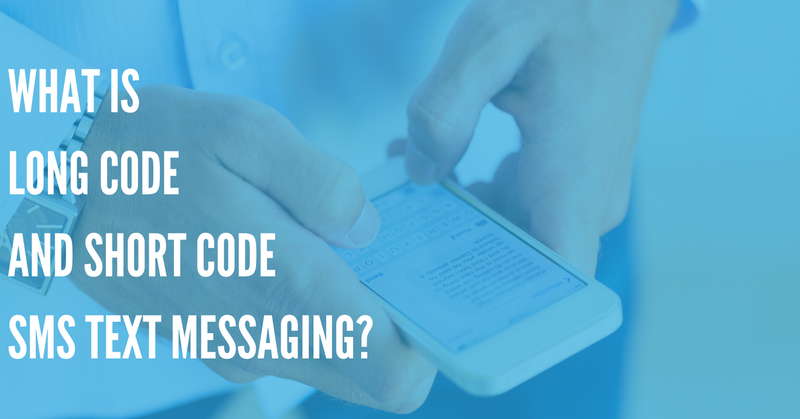 Short codes, on the other hand, are specialized for SMS text messaging. These 5-digit numbers are built to be used for large-scale marketing campaigns, and are more tightly-regulated. So, what's the better choice for your SMS text messaging system? Let's discuss the pros and cons of each method now. Long code SMS text messaging is easy to set up and affordable, but it's not perfect. Let's talk pros and cons now. More affordable – Registering and using a long code SMS number is very inexpensive, making it a good choice for small businesses. You can register a long code SMS vanity number to use with our 2-Way SMS text messaging platform for only $19.99 per month. Instant setup time – Upon registering a Long Code SMS number, it will be immediately available in your DialMyCalls account to begin sending and receiving text messages. Supports voice calls and SMS – Long codes support basic phone functionality, including voice broadcasts and text messaging. Use a local phone number – You can register a 10-digit number with a local area code when using long code text messaging. This can help you if you run a local business – customers are more likely to read a message from their own area code, even if they're unfamiliar with the number. Churches and schools can benefit from a local number as well – congregation members, students, and their parents can be made aware of your number so text messages do not get ignored. Limited number of messages can be sent per minute – Long code SMS numbers are not designed for mass messaging of hundreds or thousands of customers. They're intended for 1-on-1 conversations. Because of this, long code SMS numbers can only send 1 message per second – 60 per minute. While this is fine if you are only using your number to communicate with customers, it's far from ideal if you need to send hundreds of messages instantly. Sign Up For 2-Way SMS Text Messaging Today! Short code SMS text messages are typically a better choice for businesses with large-scale marketing needs. Let's take a look at their pros and cons now. Can send up to 40 messages per second – Short codes have been purpose-built for high-volume texting applications, so you can send many more messages with a shortcode – 40 per second, adding up to around 2400 per minute. 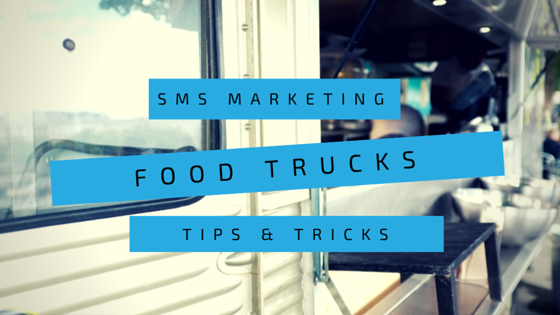 This is more than enough for almost every business using SMS marketing. Keyword integration – Short codes allow customers to opt-in to future messages with a specialized keyword. This allows you to more quickly gain a larger customer phone number list, and makes it easier to market your company. For example, a user could sign up by texting the keyword "FORSALE" directly to your custom SMS shortcode. Much more expensive – Short codes are tightly regulated, and very expensive to use. "Shared" codes are cheaper than dedicated shortcodes, but the average price ranges from $3,000-$4,500 a month for a short code. 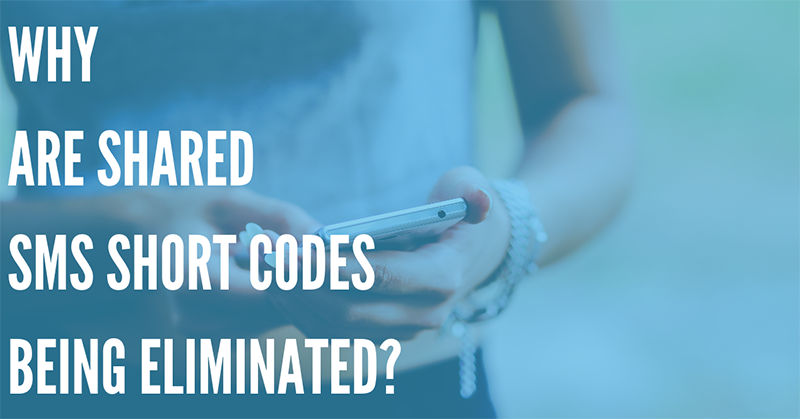 Requires a waiting period for activation – It may take several business days, or even weeks, for your short code to approved, due to the tight regulations surrounding SMS shortcodes. Only capable of SMS messaging – Standard short codes cannot receive phone calls, so they're only useful for SMS text messaging. Not available internationally – Each country has different regulations for SMS short code use, so short codes cannot be used internationally. So, is a short code better than a long code? This depends on your business. If you need to send a high volume of text messages to thousands of users, a short code is clearly better. However, for communicating with a smaller volume of customers, a long code is often a superior choice. DialMyCalls allows you to use both long code SMS and short code text messaging! You can register for our 2-Way SMS Text Messaging platform for $19.99 per month which includes a long code SMS vanity number. And because we have our own short code (80123) pre-registered, you don't have to worry about paying thousands of dollars to activate your own short code, or waiting for it to be activated! So whether you're interested in low-cost long code SMS messaging, or high-volume short code SMS messaging, DialMyCalls is the ideal choice. Sign up for free now – and get started with online SMS text messaging today! 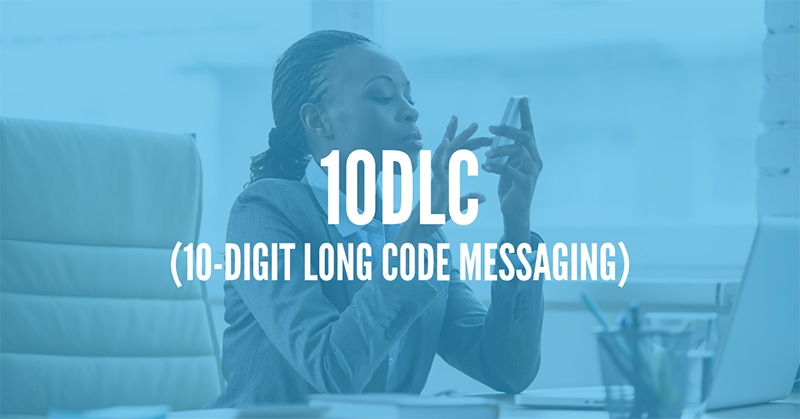 What Is 10DLC (10 Digit Long Code Messaging)?